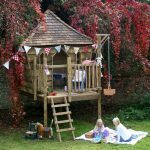 Preparation and Build: 1 week+ – dependent on features and add-ons. 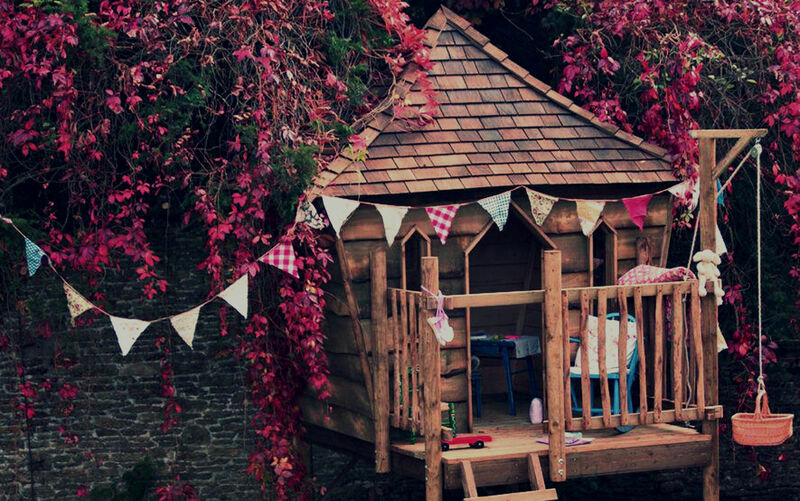 A walled garden with immature trees, yearning for a little Magic! 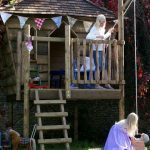 With limited space and no obvious mature trees, the client wanted a Playhouse/Treehouse that still looked magical and encouraged their girls to play outside. 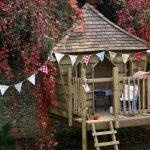 A ‘’Little Hideaway’’ for their children was the dream to add fun magic and charm to that part of the garden – with the ability to add features to in the future when the children got older. 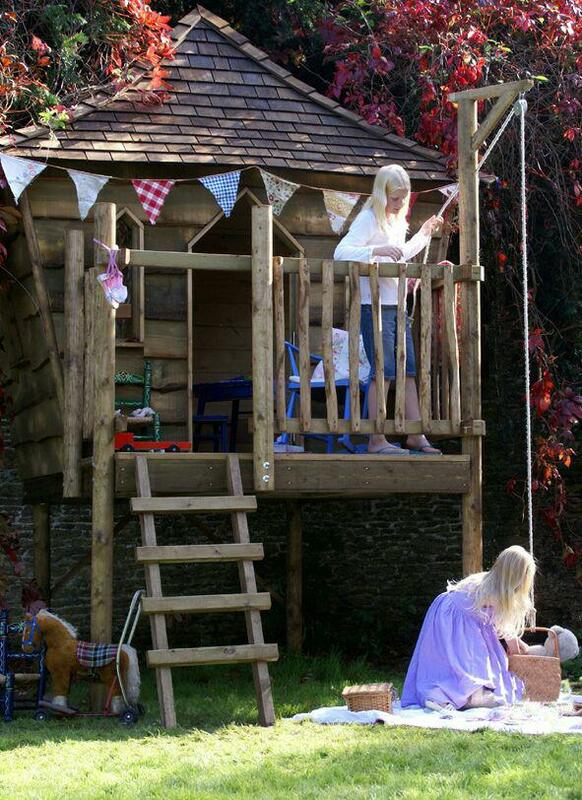 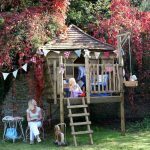 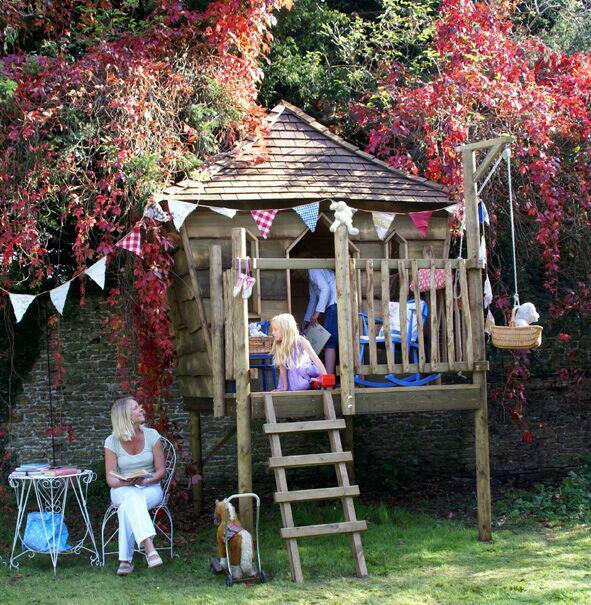 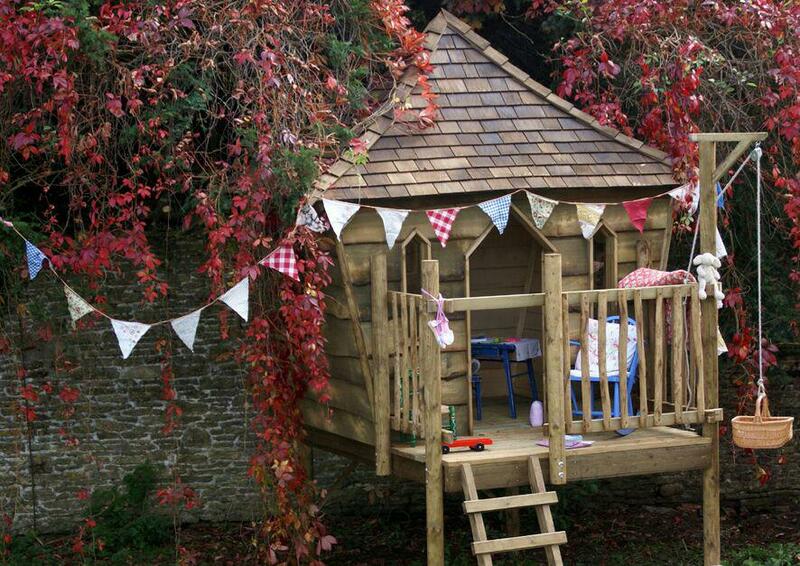 We went away with the brief and designed what has long been known as the ‘’Little Hideaway.’’ We created a quality playhouse, a smaller version of our more spectacular Tree house projects. 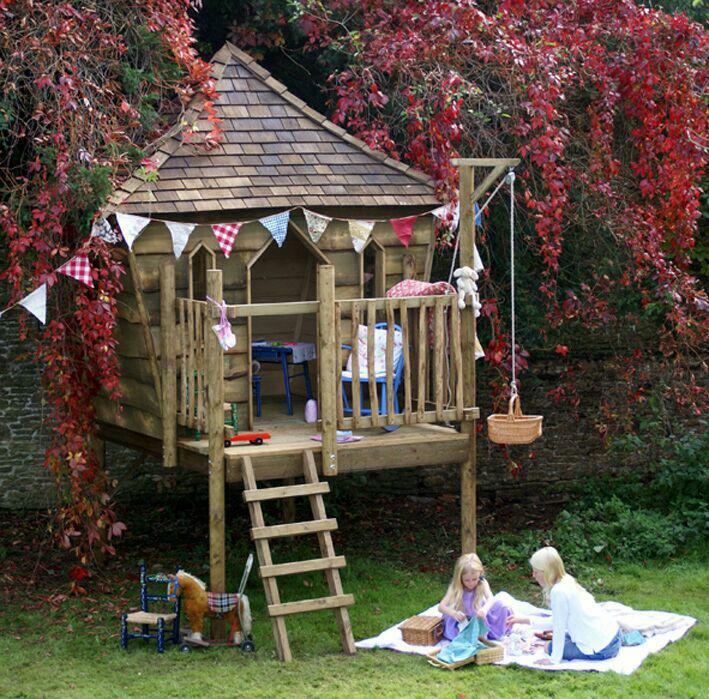 The ‘’Little Hideaway’’ offers magical outdoor space for children to play in that is attractive, safe, durable and cost effective.